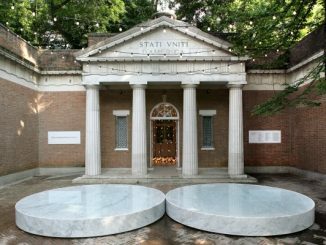 Chicago, Ill.–(ENEWSPF)– July 24, 2017 – Richard Nickel is best known for his relentless efforts to preserve Chicago’s architectural heritage, in particular the works of Louis Sullivan. Nickel tragically lost his life while salvaging portions of the partly demolished Chicago Stock Exchange building on April 13, 1972. However, it is less known that in the years before his death, Nickel was commissioned to photograph a trove of rediscovered nineteenth century architectural drawings by another giant of Chicago architecture, S. S. Beman. S.S. Beman is perhaps best known as the architect of the “Town of Pullman.” Industrialist George Pullman hired 26-year-old Beman to design an entire town from scratch. 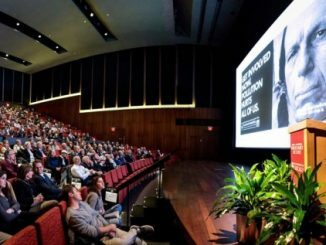 Beman designed every structure in Pullman from its factory to its stables, from its market hall to its church, from its executive homes to its worker tenements. Pullman was once dubbed the “most perfect city in the world,” and in 2015 President Obama declared it a national monument. In the early 1970s, shortly after Pullman was declared a National Historic Landmark District, an official at the Pullman-Standard Corporation came forward to say that he had some architectural drawings that may be of interest. It was an incredible discovery: dozens of Beman’s original drawings used in the 1880s and 1890s to construct the town. 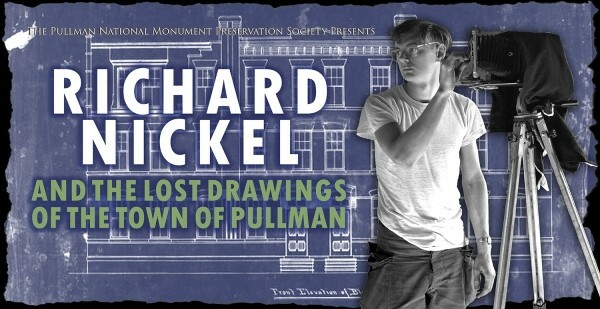 Recognizing the significance of the find, architectural photographer Richard Nickel was commissioned to photograph the drawings. Nickel enlisted the help of his long-time friend and Pullman resident Charles E. Gregersen. Gregersen in turn invited historian, archivist, and photographer Paul Petraitis. While completing their work, the trio uncovered even more drawings, the most spectacular of which was a nine-foot-long drawing of Pullman’s Factory Administration Building. Beman presented this drawing to George Pullman on Christmas Day, 1879; it landed him the job. In 1960, Pullman residents reactivated the Pullman Civic Organization to save the town from an urban renewal plan that would have leveled the entire neighborhood and replaced it with light industrial warehouses. 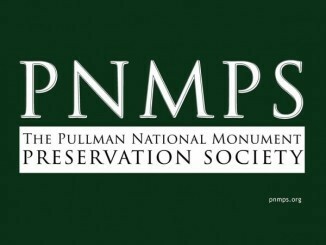 In 2016, Pullman residents formed the Pullman National Monument Preservation Society to advocate for preservation and restoration of Pullman’s historic architecture, landscape, and plan for the inspiration and education of all. The Pullman National Monument Preservation Society is a registered 501(c)3 organization and a registered Charitable Organization within the State of Illinois.